Small to medium capacity ice storage bins for use with all major commercial icemakers. Widths from 30.25” to 48” (768 to 1220 mm) and storage capacities from approximately 104 to 431 kg (230 to 950 lbs). All models standard with stainless steel exterior. 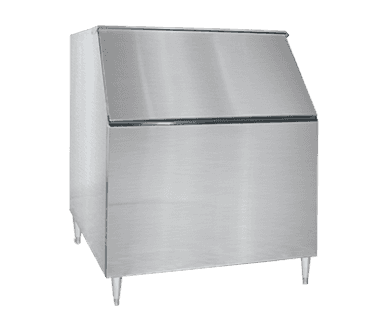 All bins include stainless tops custom-cut to accommodate virtually any ice machine. Always have ice at the ready with the Maxx Cold BIN-650 Maxx Ice Ice Storage Bin. This ice bin is 41 inches tall, 42 inches wide, and 35 inches deep.